The tour started at the NEST building at EMPA Dübendorf where the solar fitness and wellness unit was explained and presented by Dransfeld architects. 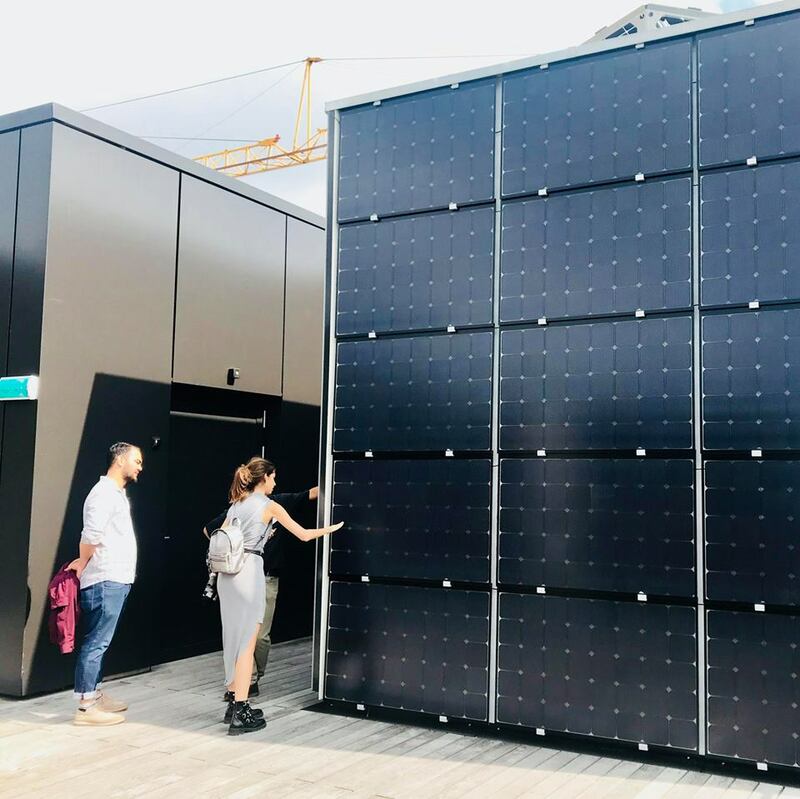 It is a unique wooden structure with bifacial photovoltaics (BIPV) on the facades, vacuum tubes and a CO2 heatpump to create a net zero energy wellness and fitness environment. Following that, a Minergie P-Eco multifamily building by Rykart Architekten AG was visited. It is heated by ground source heat pumps and stands out by its movable aluminium shading elements, providing shade while still offering a visible connection to the outside green environment. To finish the tour, another Minergie P-Eco multifamily building by Kämpfen für Architektur was visited. The building has polycrystalline elements as balcony railings which give it a nice shiny golden touch. Domestic hot water is produced by tubes on the roof and stored in a tank. Heating is provided by pallets. Structurally the building is mostly out of wood, which reduces its embodied energy and CO2 emissions to a minimum. We‘re looking forward to future Events for our Associates. For more information contact info@int.sia.ch.